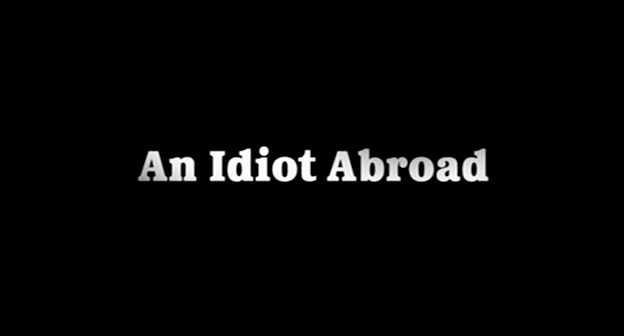 DroolFactory: Watching "An Idiot Abroad"
I picked up this show on Netflix and I am enjoying it immensely. Here is the premise, Karl Pilkington is a regular joe, a real Home Simpson of a guy. He is British, he does not like to travel, and he is a little small minded. He does not like new or strange things. He is also pals with Ricky Gervais and Stephen Merchant. Stephen wants Karl to open his mind and travel the world as a learning experience. Ricky wants Karl to suffer for his and our enjoyment. The two of them throw little side trips into Karl's journeys that are meant to torture/enlighten Karl. Hilarity ensues and Karl does not disappoint. As someone that has travelled a bit, I can empathise with Karl when he is dog tired and still has to push through. Or when he gets a room with a garbage shed ensuite and must sleep in a room that smells like a toilet. If you like travel, if you like British dark humor, oe if you hate travel and want ammo for why, then check out An Idiot Abroad. We are having a grand time laughing at it in our house. Didn't realize this was on netflix.. I'll have to check it out. Not sure if it is in the Canadian Netflix. Let me know if it is.